Have you been wondering about your Halloween decor all year? We get it. You can get as creative as you want. There are no limits. Want to make your house look like the lair of a mad scientist. Easy. Beakers and a fog machine will make the residents of your home seem genius and unhinged. Make your place a haunted house, a dark vampire hideaway, or an olf dusty crypt. The thing is, every year might be different. That's where this spider comes into play. 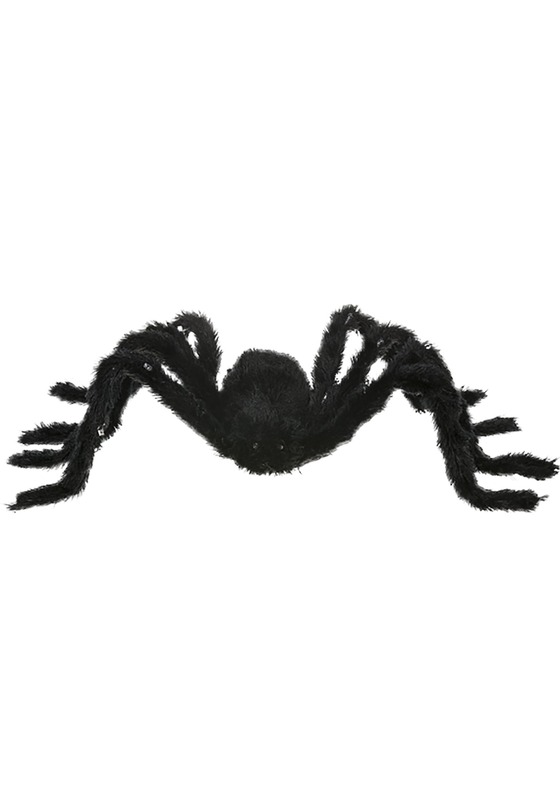 With a generally creepy, hairy body, this spider can have a place in your Halloween decor from year to year. Keep things kid-friendly and cheery this year and in a few years, when the kids in your life want to ramp up the creep factor, this spider will still have a spot. That's sure to give you a leg up in this season of spook. This creepy spider stands out with furry, adjustable legs. Ready for day or night, this arachnid lights up to the delight of trick-or-treaters. You can use this decor accessory as a centerpiece or pair it with spreadable spider webs, you're sure to use this spider year after year.